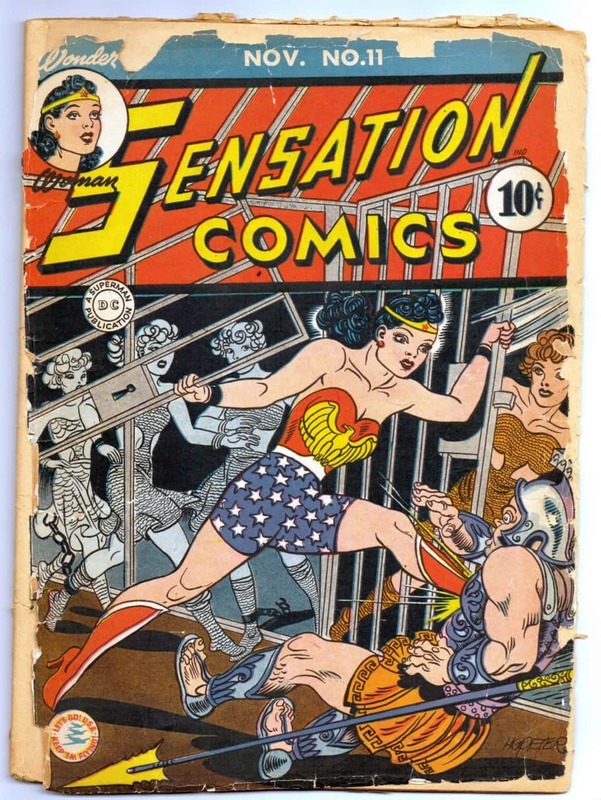 Sensation Comics was primarily a vehicle for Wonder Woman, appearing on the series cover of the very first issue in January 1942. 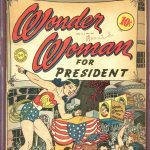 Her popularity would spawn her very own Wonder Woman series shortly thereafter. 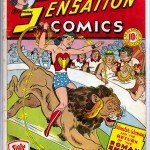 My very rough copy of Sensation Comics #11 is from November 1942. Steve Trevor, Wonder Woman and Etta Candy are summoned to the planet Eros via astral projection by Queen Desira to battle a renegade warrior who has started a war. 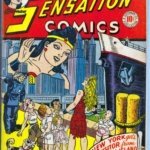 I appreciate the Harry G. Peter cover on Sensation Comics #29* (May 1944) for its portrayal of the New York Skyline and New York (Manhattan) Port – a location I’ve actually been to numerous times. 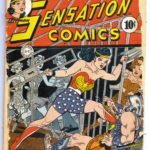 In the inside story “Adventure of the Escaped Prisoner” Diana Prince (Wonder Woman’s secret identify) visits the Bandit Club where the notorious Zoot Suit Gang hangs out. Capturing the head of the gang Hefty Hannah, Wonder Woman tries to transport her to Paradise Island for rehabilitation. 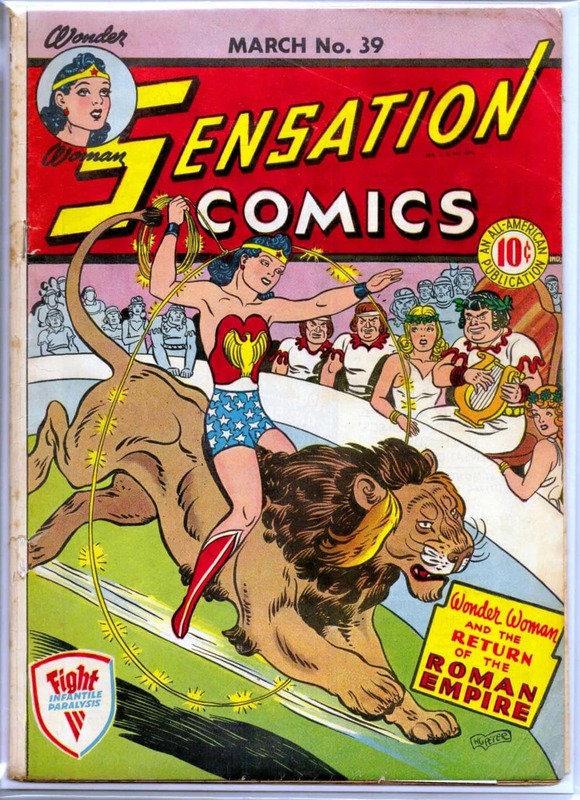 On Sensation Comics #39* (March 1945) Harry G. Peter has Diana Prince riding a lion in her adventure against Nero Maximus and empress Fausta of ancient Rome on a hitherto undiscovered island between Africa and South America in the inside story titled “In the Clutches of Nero.” Sensational!